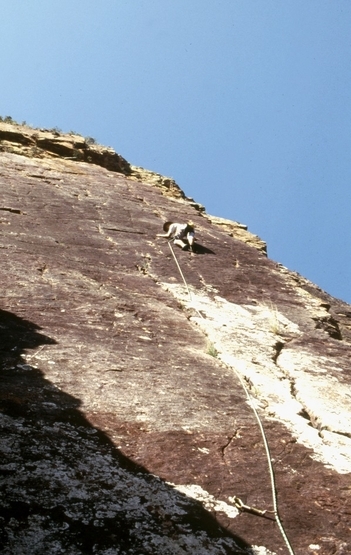 Grips rock climbing, Craig Reynolds on Wasteland (20) ~1993, photo from Andy Wesson collection. 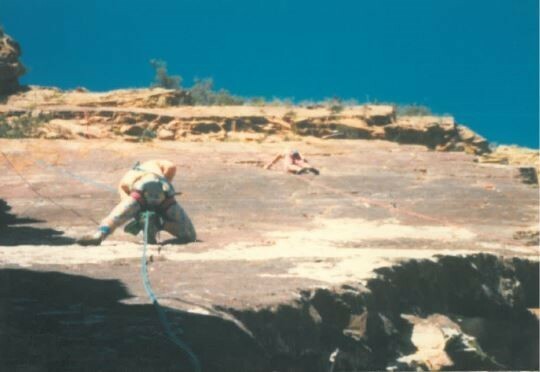 Craig Reynolds belays Brad Twigg on the ledge above Graceland ~1993, photo from Andy Wesson collection. 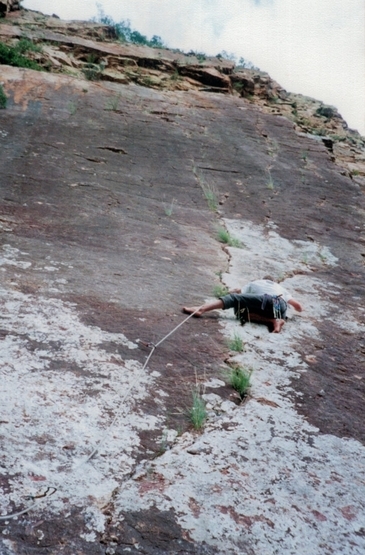 Grips rock climbing, Andy Wesson on Graceland (18) ~1993, photo from Andy Wesson collection. 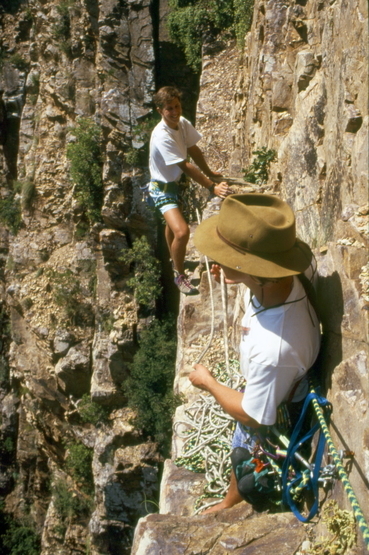 Grips, Baviaanskloof rock climbing, Andy Wesson on Graceland (18) ~ 1993, photo from Andy Wesson collection. 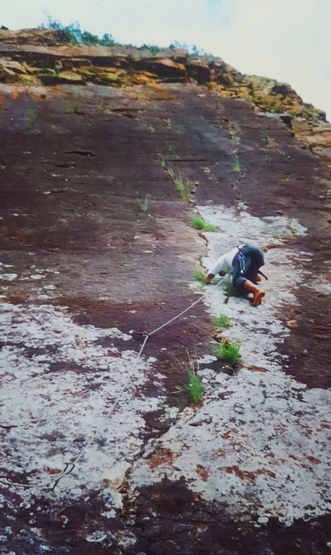 Grips rock climbing, Morne van Der Mescht tries the classic Graceland (18) bare foot! 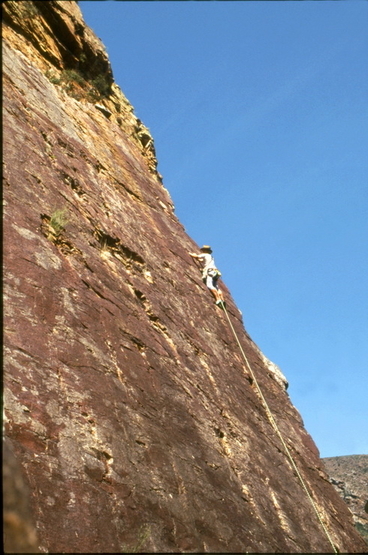 ~2003, photo thanks to Morne van der Mescht. 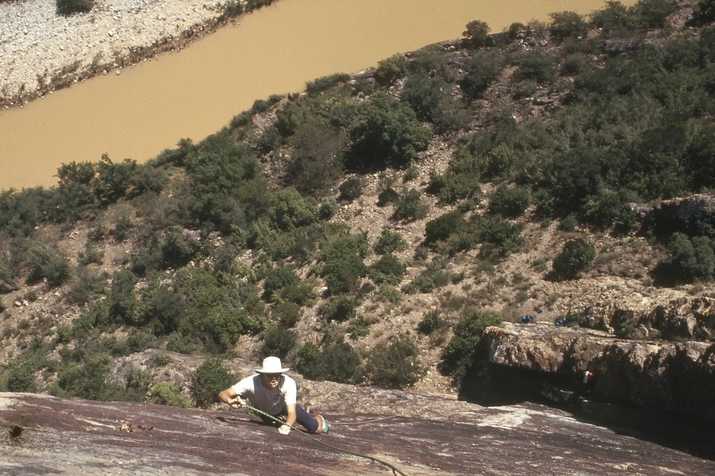 Grips, Baviaanskloof rock climbing, Andy Wesson on Graceland (18) ~1993, photo from Andy Wesson collection. 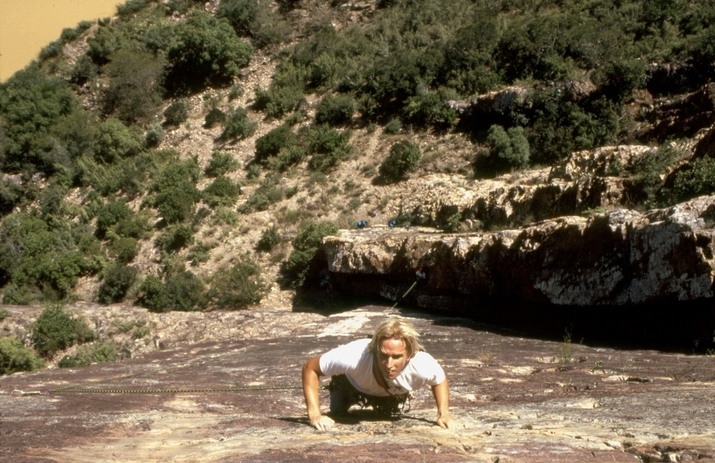 Grips rock climbing, Morne van Der Mescht on the classic Graceland (18) bare foot! 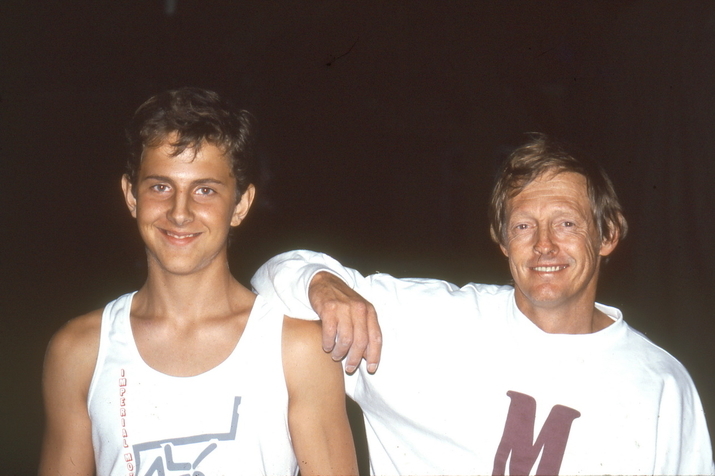 ~2003, photo thanks to Morne van der Mescht. 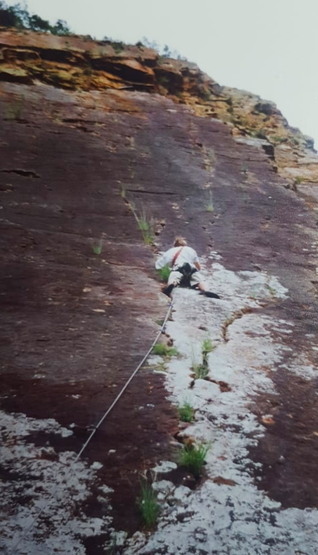 Morne van Der Mescht sending the classic Graceland (18) ~2003, photo thanks to Morne van der Mescht. 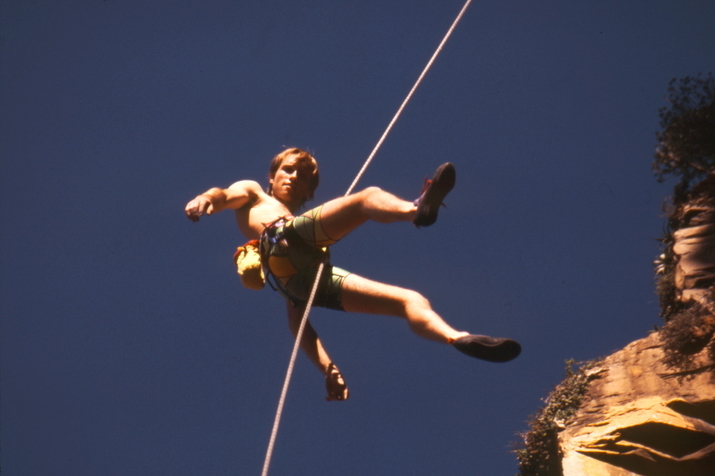 Craig Reynolds belaying from the top of Wasteland (20) ~1993, photo from Andy Wesson collection. 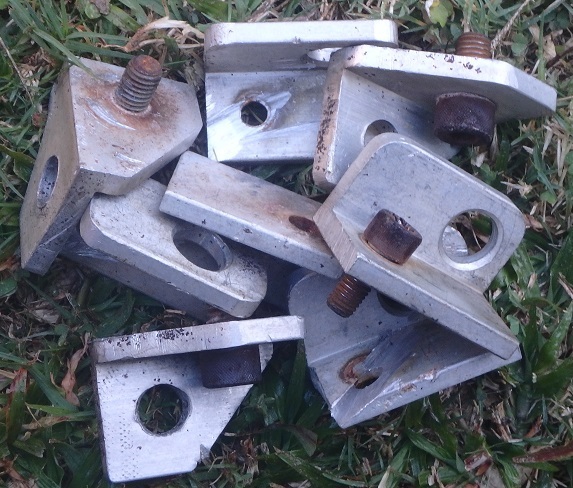 Homemade (by Mike Roberts & John Alexander) aluminium hangers that came off Smooth Chalker. Scary! 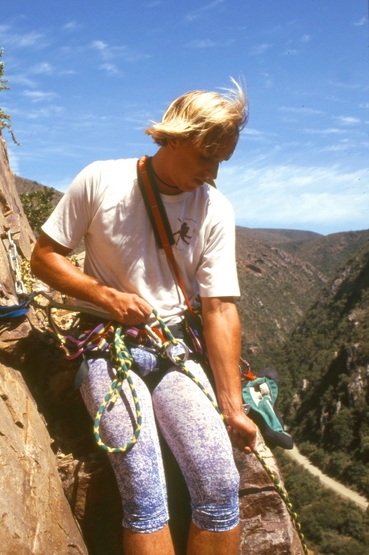 Richard van der Merwe abseiling at Grips, ~1993, photo from Andy Wesson collection. 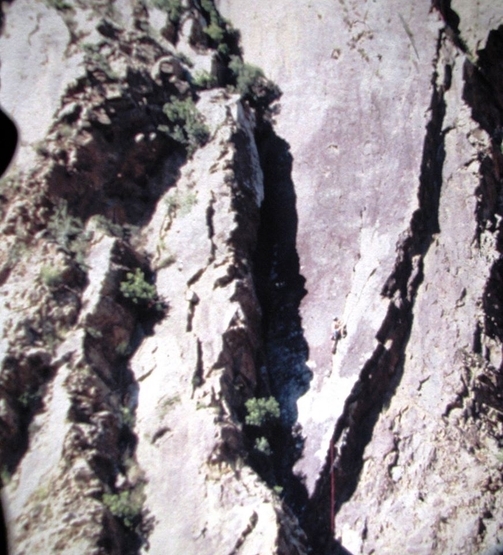 Bert Bongers on 3rd pitch of Reunion ~ 1978, photo thanks to Andrew Forsyth. 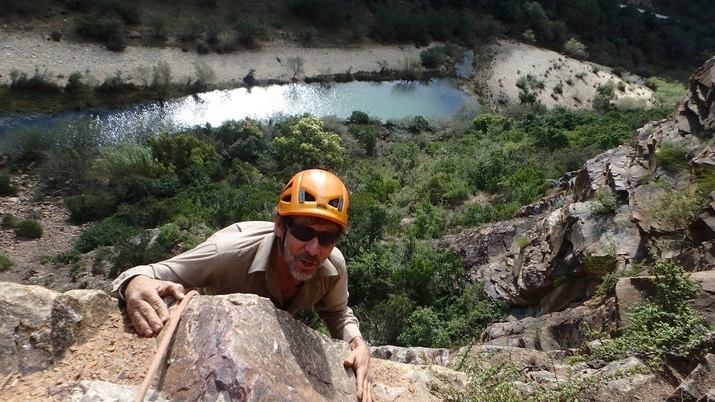 Fine quartzite slab up to 120m high. 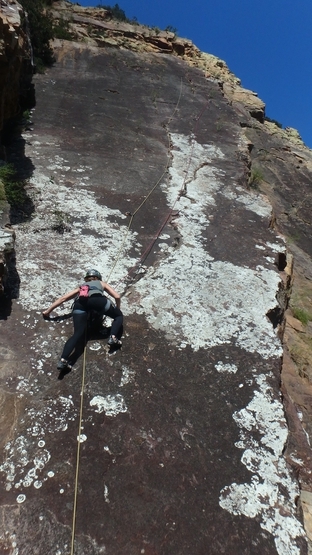 Lots of potential for new routes. 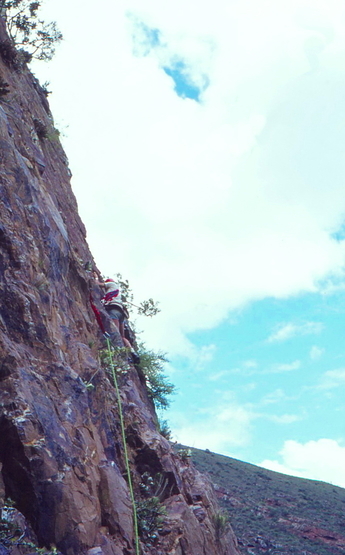 There are 4 full sport routes, at this stage Grips is basically a traditional venue. Recently Smooth Chalker the classic Mike Roberts 26 was fully rebolted. This still has not been repeated. 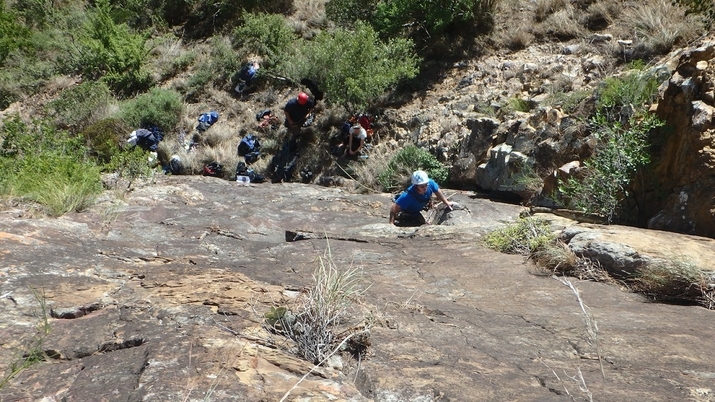 Grips is at the start of the Baviaanskloof Wilderness area. There are amazing views & lots to see. Grips is on private farmland. The owner owns Bruintjieskraal, campsites & chalets. 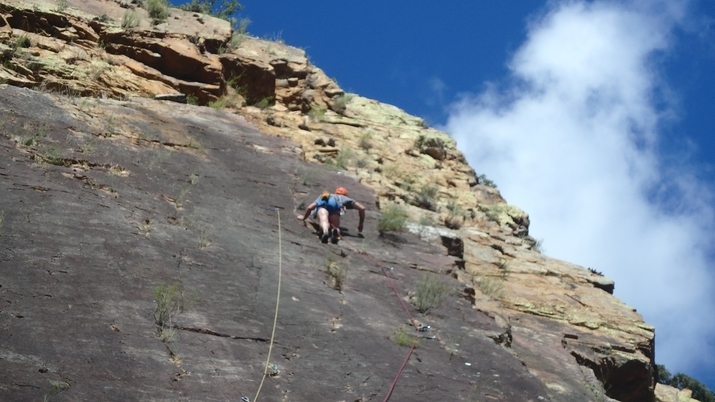 So basically the owner is happy to have climbers at Grips & welcomes sport climbing development, obviously at climbers own risk entirely. 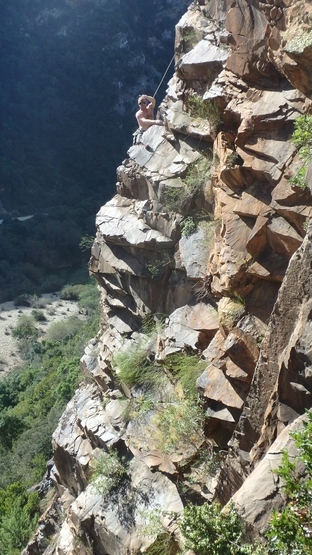 This access is only when using Bruintjieskraal camping or accommodation. See www.bruintjieskraal.co.za for more info. 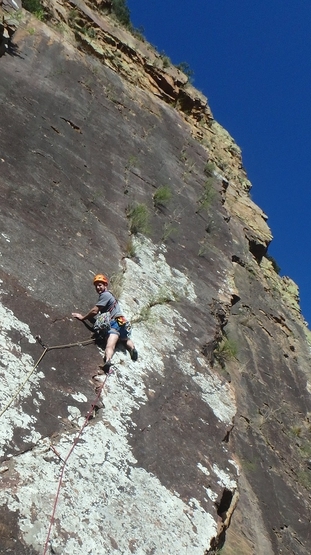 The camping is great & Bruintjieskraal is the obvious choice when visiting Grips.